My Stampin Up upline Sam, issued us with a challenge. Pick the first two inks or cards and make something with them, and this is what I came up with. Luckily for me, my hand rested on two things, Wisteria Wonder ink and Perfect Plum cardstock. 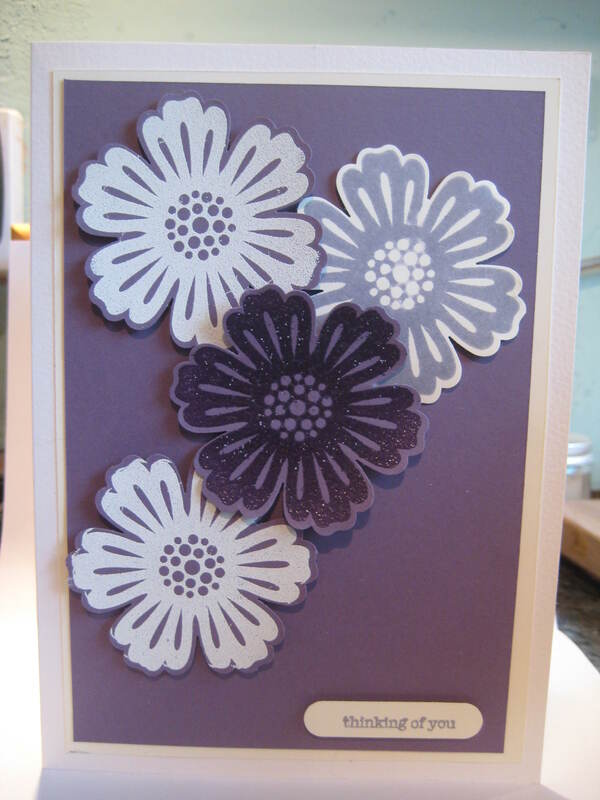 I have used a white card blank, matted with the Perfect Plum card and then went to town with my beautiful flower stamp. One is stamped with Wisteria Wonder and the others embossed with white and clear embossing powder.